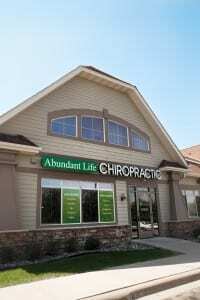 WHO: At Abundant Life Chiropractic, we specialize in a non-traditional approach with a special focus on the integrity of the central nervous system (CNS). The CNS is primarily responsible for the function of everything that happens in the body. In order for your heart to beat, your lungs to breathe, your digestive system to break down food, and your muscles to move, the CNS must be working at its optimal level. Our clinic provides a cutting-edge approach to treating a condition known as the Vertebral Subluxation Complex (VSC). The VSC is detrimental to the health of our nervous system, and in turn, the function of every cell, tissue, and organ in the body. We address this issue through neurological adjusting called Torque Release Technique (TRT). WHAT: A comprehensive neurological examination and consultation (X-RAYS if necessary) are all included for a special price of $20. WHEN: Call our clinic anytime during Thanksgiving Weekend to claim our offer. ACT NOW: Our clinic prides itself in providing quality care and 100% integrity. Call our office today to schedule your BLACK FRIDAY SPECIAL exam.